Starbucks offers a wide variety of fantastic drinks that you should definitely try there and you will be in two minds of which to choose. Probably you tried all of the offers from the menu but I`ll surprise you, these cafes have a secret. They serve drinks that can`t be found in the menu, and I bet you`ve never tried them before. So now you have a perfect reason to visit Starbucks as soon as possible and make sure that I`m right. Mind that you have to remember all the names or have the list with you. Once you try one of them – you get addicted, nothing can be compared with their flavor and taste. Share it with friends and evaluate them together. Who knows, maybe the more people order secret drinks, the sooner they will be found in the menu! 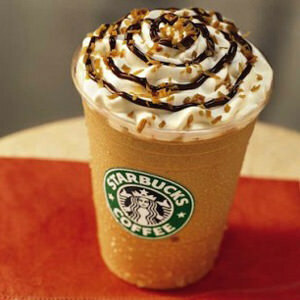 So take a look at 7 amazing Starbucks drinks you should definitely try. Photo: hackthemenu.com This drink is just perfect for fans of animal prints and extraordinary names. It sounds challenging and tempting, but you won`t forgive yourself if you don`t give it a try. This drink has some other names, like Black and White Mocha, Marble Mocha or Penguin Mocha, feel free to ask for any out of these. The ingredients are as follows: regular mocha plus chocolate mocha to the top. This chocolate drink may be high in sugar but you can also order sugar-free variant. The Zebra Mocha is a perfect treat for chocoholics!